Global News | HYUNDAI - NEW THINKING. NEW POSSIBILITIES. (Seoul, Korea) Hyundai Motor Company, South Korea's largest automaker, reports its domestic and overseas sales results for January 2012. Hyundai Motor Company, in collaboration with KOICA and PLAN Korea, will launch a project to help youth in under-developed areas support themselves by setting up technical training centre for automobile repair in several African nations. Starting with Ghana, Hyundai will build automobile repair training schools in Africa and Asia in a continuous cycle of construction. 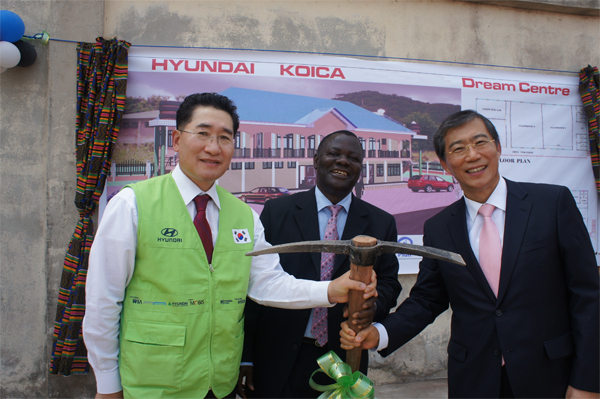 The repair training school in Koforidua, Ghana, called Hyundai-KOICA Dream Centre, will open in September 2012 with a three-year programme, admitting about 300 students. Hyundai will support the establishment of the school, from paying teachers to developing curriculum. Graduates with good school records will be offered jobs at Hyundai Service Centres. Statistics available from the Ghana Statistics Service 2006 Report indicate that about 250,000 young people enter the labour market annually; they range from university graduates to junior high dropouts. Only 2 percent, or fewer than 5,000 Ghanaian youth, secure traditional employment. The rest are left to unemployment or unstable employment. The cause of high unemployment among youth is the lack of employable skills needed by the job market. Most educational training curricula are not valued by the current job market. As such, the Hyundai-KOICA project has been designed to give youth employable skills. Setting up a technical training centre and supporting equipment for automobile repair training. Recruiting and educating students to be auto mechanics. Enhancing the skills of existing auto mechanics. Creating skilled and literate mechanics. Enabling self-reliant poverty reduction through youth empowerment. Strengthening Hyundai/Korean and Ghanaian technical and cultural cooperation through Hyundai's social contribution expertise. KOICA is Korean International Cooperation Agency, which was founded as a government agency in 1991 to maximise the effectiveness of Korea's grant aid programmes for developing countries by implementing the government's grant aid and technical cooperation programme. The focus has now broadened to promoting sustainable development, strengthening partnerships with developing partners, and enhancing the local ownership of beneficiaries. Plan is an international child-centred community development organisation that works for human development and focuses on promoting the rights of children. Plan’s vision is a world in which all children realise their potential in societies that respect human rights and dignity. GRATIS Foundation evolved out of the Ghana Regional Appropriate Technology Industrial Service (GRATIS) Project, which was established by the government of Ghana in 1987 and mandated to promote small scale industrialisation in Ghana. Hyundai Motor Company, South Korea’s largest automaker, posted global sales of 4,059,438 units (domestic plants: 1,884,633, overseas plants: 2,174,805) in 2011, a 12.4 percent gain from a year earlier. Sales revenue rose 16.1 percent to 77.8 trillion won from a year earlier as the company sold more fuel-efficient and aesthetically appealing new models with reliable quality, while operating profit also rose 36.4% to 8.08 trillion won. Net profit increased 35.1 percent to 8.1 trillion won, backed by robust performance at its overseas plants and subsidiaries. Hyundai Motor’s gains in 2011 are a result of the company’s continuous improvements in quality, which contributed to the increase in sales and the brand’s value. 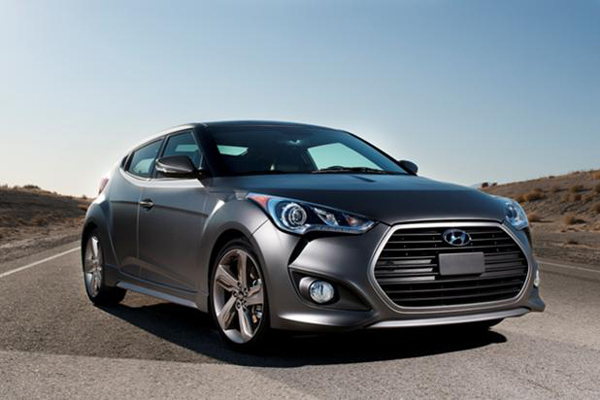 Based on these efforts, Hyundai achieved the top spot among all automotive brands in J.D. Power and Associates’ 2012 Customer Retention Study(SM), improving its retention rate to 64 percent, up four percentage points from 2010. Hyundai’s all-new Elantra was crowned the 2012 North American Car of the Year earlier this month, while leading German motoring magazine Auto Bild in December last year awarded Hyundai with the top position in its ‘Auto Bild Qualitätsreport’ for the second year in a row, attesting to the company’s advances over the years. As industry experts forecast slower growth in auto demand and uncertainties surrounding the European economy, Hyundai plans to respond flexibly to the market and create new opportunities by strengthening its core capabilities and eco-friendly technologies to achieve qualitative growth, rather than pursue excessive external growth. As part of these efforts, Hyundai will enforce its various corporate social responsibility activities, embracing its neighbors and seeking mutual growth with suppliers and stakeholders. DETROIT, Jan. 9, 2012– Hyundai Motor America today introduced the significantly redesigned 2013 Genesis Coupe in a North American debut at the Detroit North American International Auto Show. 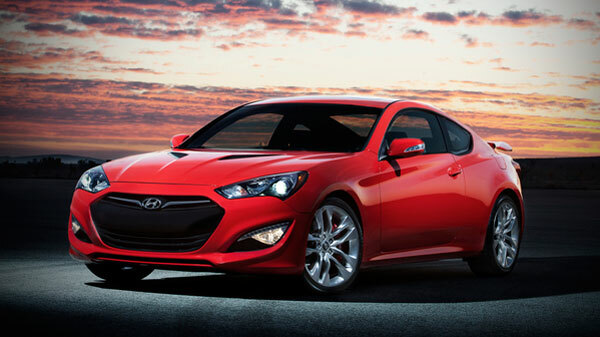 In keeping with impressive performance upgrades, Genesis Coupe now sports more aggressive coupe styling, complemented by improved interior materials and design. Both 4-cylinder and V6 engines benefit from significant technology enhancements, with the 3.8-litre V6 engine receiving sophisticated direct-injection technology and the 2.0-litre turbocharged engine upgrading to a more precise twin-scroll turbocharger and larger intercooler. Automatic transmissions for these two models now have 8-speeds, with paddle-shift SHIFTRONIC® manual-shifting capability. Hyundai's proprietary telematics platform, Blue Link®, is now available, providing Genesis Coupe owners with a variety of infotainment services to meet their individual connectivity needs.